Thankfully one of the three candles was still useable. What an odd day yesterday was. It started well enough with me finishing a long email to the mother-in-law while the Mudelts played prior to leaving for school. I was on the point of attaching some pictures and sending the completed email when …… POW! ……. the screen went blank, the lights went off and we were plunged into a quietness that only occurs when there are no electrical items humming away in the background. 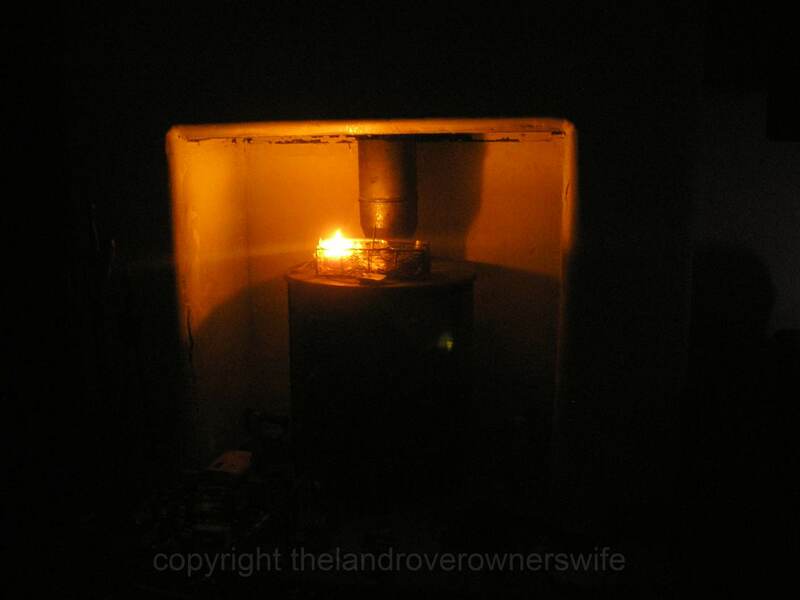 “Power cut!” announced Middle Mudlet, whose observational skills are second to none. I popped my head out of the back door to see if it was just us or if this was a proper, village wide power cut. Yes, I know this sounds like a very peculiar way to see what type of power cut this is but there is a completely fool proof way of identifying whether it’s your own fuse box or the National Grid at fault, in our village. A method that negates the need to peer into dark, cobweb coated, spider infested spaces to check the status of your fuses. 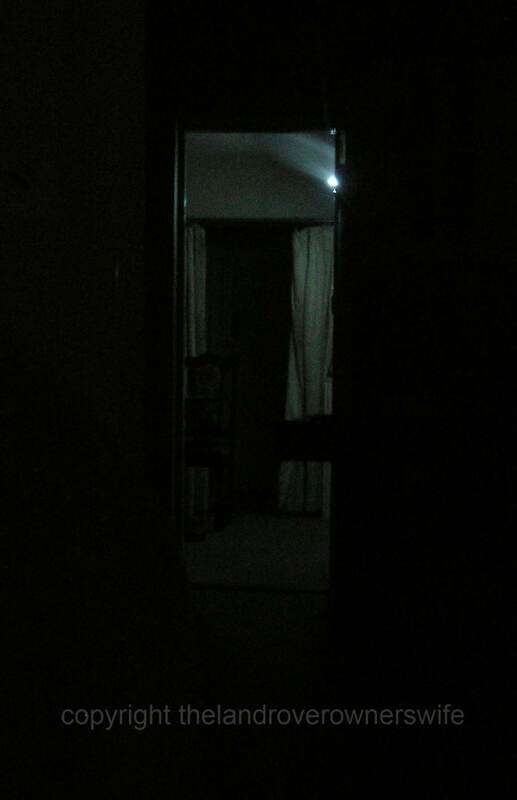 In our village, the way to tell what kind of power cut you have is to stick your head out of your door and listen. If there is a cacophony of noise from the burglar alarms on the new estate then it’s the National Grid, if it isn’t then you need to either check your fuses or that you remembered to pay your bill. Thankfully, the third of these options has never happened to us and the second doesn’t happen as much as it used to. As for the first option, well this does happen quite regularly but nowhere near as often as when we first moved in. Back then, during the Winter months, we probably had a power cut at least once a month. Generally speaking though, these days the power cuts, when they happen, only last between 30 seconds to a couple of hours and, as such, we’ve all become pretty complacent. Certainly in our house we used to have a ready supply of candles. The torches were tested and spare batteries were in the drawer just in case but with the relative infrequency of power outages these days, we aren’t quite so ready. Mind you normally the Rayburn would be running and so hot water, heating, hot drinks and food wouldn’t be a problem and even yesterday, a pan boiled on the gas burner of the BBQ meant I could have a coffee. I couldn’t hoover (shame), do the washing up (such a pity) or use the washing machine (so sad) but I could and did have coffee. Thankfully the schools emergency lighting kicked in and so the Mudlets were able to go to school as normal. Popping my head around the office door Mrs T, the school Business Manager, informed me that a phone call to the Northern Grid had furnished her with the information that the reason we had a power cut was down to a problem with the power lines! “Like we hadn’t worked that one out by ourselves,” she said. Anyway she was able to tell me that the engineers had estimated that the time the power would come back on was around 10.30am, so not too long really. No! Really? I hadn’t noticed. The time for power back on was now 4.30pm! 4.30pm!!!! Okay this was not funny. Today was going to be a long one. I’d already done most of the jobs I could do without electricity. I wasn’t in the mood for picking up my knitting, having had some bad news that morning which I won’t go into on here and it was a cold, damp day outside, so I couldn’t even escape to my garden. I did have nearly 3kg of plums from the school trees to destone and prep for yet another jam making effort and so I passed an hour or so doing that but it was really far too cold to consider trying to make the jam, outside on the BBQ burner. “We have detected from your number ……..” Oh for crying out loud! It’s a pity their automated system can’t detect that it has already detected my number and can just skip that annoying part of the message. I mean, come on, why would you be calling the power cut number and selecting option 2, if you weren’t already experiencing a power cut? “Our engineers have estimated that power will be restored by 4.30pm” As it was now 4.45pm, this was not exactly helpful, so I waited until 5pm and then went through the whole process again to be told that the new estimated time was 6pm …. not that we were holding our breath or anything. By now I was beginning to have real concerns over the contents in the freezer. I had already called Mud at work to inform him that I didn’t want to open the freezer to take stuff out for tea because with the original deadline a distant memory, there was no guarantee that the second one would be any better (which it wasn’t) and we had quite a lot of meat in the freezer. Mud was in full agreement and not fancying the idea of a curry made out of the left over roast chicken from Sundays’ dinner which was amongst the more expendable fridge contents, he decided to pick something up on the way home. Then the girls settled on sandwiches with homegrown salad for their tea and so that was sorted. 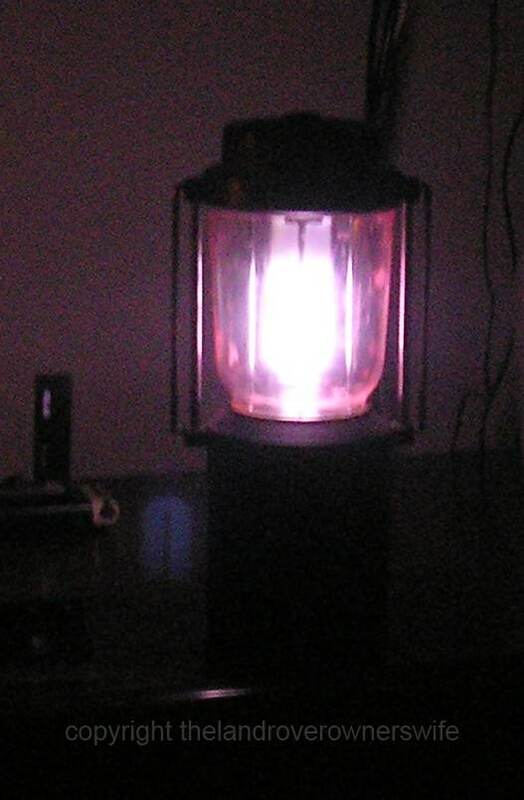 When 6pm came and went and we still had no power, the Mudlets and I assembled what candles we had in the house (mostly tea lights), the battery operated lantern and the enormous free standing workshop light. Another phone call to the power cut helpline at 6.30pm did nothing to lift my depleted spirits, offering 9pm as the next estimate for power. By 8pm, the girls were tucked up in bed and I was literally twiddling my thumbs as there was insufficient light to even read a book or pick up my knitting. 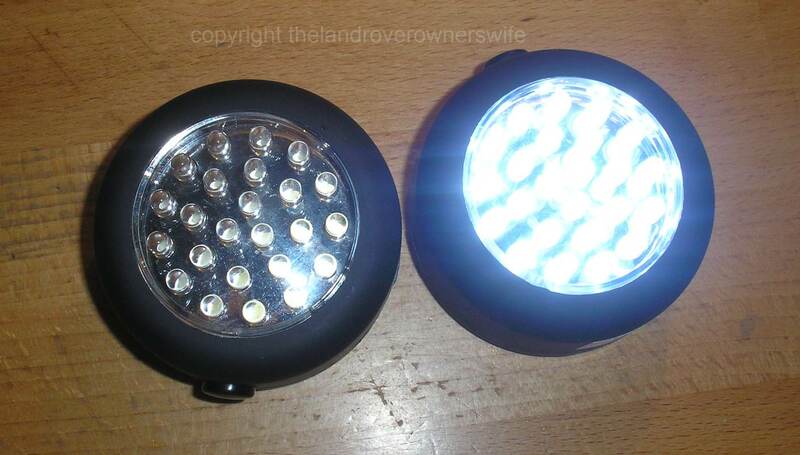 Mud arrived home a few moments later, with what, he told me, was the last two remaining LED emergency lights the local B&Q had in store. Apparently there had been a run on lights, torches and lanterns that evening which had baffled them somewhat, so Mud put forward the theory that possibly the vast majority of the stock would be found in our village. He had also bought a huge stock of various sizes of Duracel batteries, specifically for the torches and NOT for use in toys. Finally he deposited a huge bucket of KFC on the worktop and, after supplementing the meager candle and lantern light with the two new LED uplighters (£5 each but amazing amount of light) we sat down to eat, saving a couple of pieces of chicken for the girls to have in their pack-ups. Mud told me that he had found the drive into and through the village amazing as it was so dark and he could really appreciate the level of light pollution there is now which is due to all the new builds that have arrived since we moved in 11 years ago. At 9pm approached, I waited. Perhaps, just perhaps this would be it! 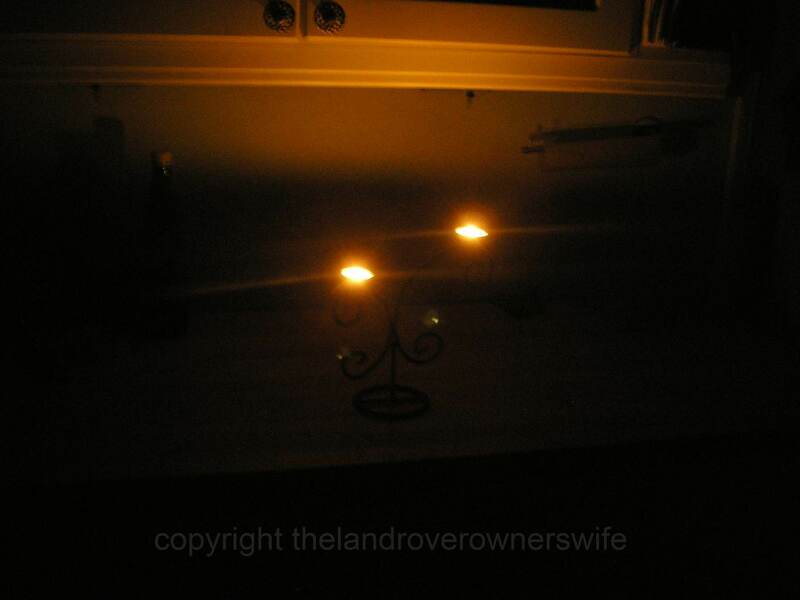 Maybe we would finally be reconnected to the Grid, not that I was expecting miracles or anything but at 9.03pm electricity flooded into the house …….. and all the alarms on the new estate started to blare out …… again. 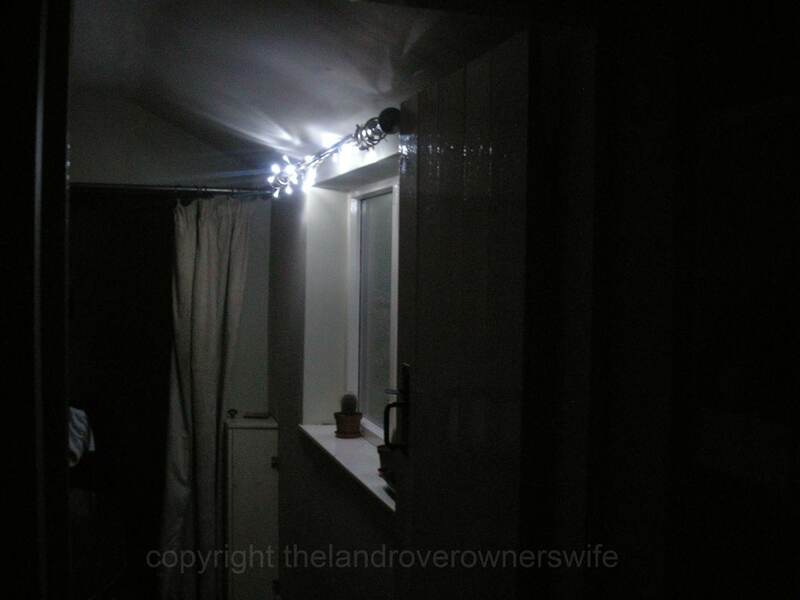 Categories: .... on family life | Tags: candle light, candles, electricity, emergency lighting, energy, LED lights, power cut | Permalink.